Scottish distilled barley, better known as whisky, adds £4.96 billion to the UK economy per year, making it bigger than the British iron and steel, textiles, shipbuilding or computer industries, according to the Scotch Whisky Association. “In terms of the value it adds to the UK economy, Scotch whisky is bigger than a number of industries, such as iron and steel, textiles, shipbuilding and computing. It is also larger than other UK food and drink sectors, including meat, dairy, beer and soft drinks,” the report says. Liquor distilling supports 40,300 jobs in the UK, a more than 15 percent increase since 2008, when it accounted for 35,000 jobs. Many of the jobs are created in sectors such as glass manufacturing and labeling. From the total workforce, 10,900 are directly employed in the industry in Scotland, and the average salary is £47,000, the third highest paying profession, beating out finance. 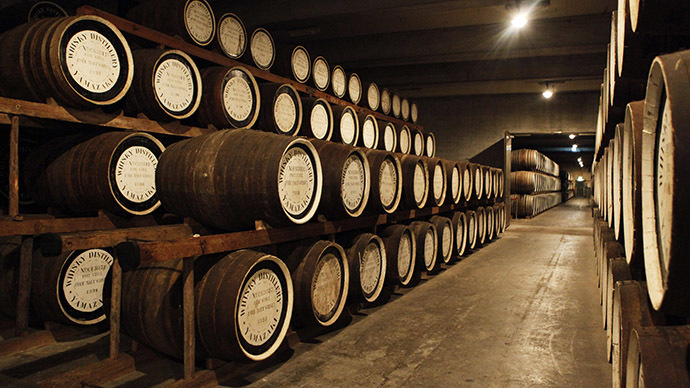 Whisky accounts for 25 percent of total UK food and drink exports, with the majority of bottles shipped abroad. It makes up £4.3 billion a year out of total food and drink exports worth £19.4 billion. In Scotland, whisky is the third biggest industry, after energy and finance, and accounts for 70 percent of the country’s food and drink sector. A homegrown industry that dates back to 1494, the Scottish whisky industry has long been considered a cornerstone of the economy. 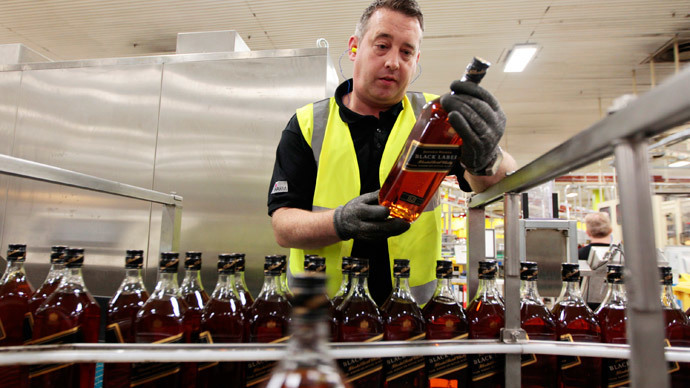 Production of a single bottle involves labor across several industries- from bottling, labeling, distilling, advertising, sales, and logistics. More than 90 percent of operating expenditures are inside the UK, the report says. Thirty new planned distilleries- many in rural areas, are in development. Whisky is technically only supposed to be distilled and matured in Scotland; however demand has pushed producers in the US, Japan, Canada, and other major markets to start recreating the national drink of Scotland. This ‘whiskey’ is spelled with an ‘e’, which denotes its origin isn’t Scottish. Over 1.26 billion bottles of whisky are exported from the UK each year, with the most headed towards India, the world’s biggest whiskey market and second-fastest growing economy. Exports to the US reached a record high in 2013, at £820 million. The Scotch Whisky Association has campaigned for the UK government to cut taxes on the beverage, which have risen so rapidly (2 percent above inflation every year since 2008), that the UK market has been turned off the expensive products. In this year’s report, the association asks the Chancellor to cut excise duties by 2 percent in the next budget, to be presented in March. In 2014 a bottle of single malt Scotch whisky cost £35 in the UK, while the exact same product cost £22 in a French supermarket, David Frost, the chief executive of the Scotch Whisky Association said in a column he penned in the Herald Scotland advocating the same tax decrease last year. The report, commissioned by the Scotch Whisky Association and carried about by the research group 4-consulting, used a ‘valued-added’ scale to measure the contribution of whisky to the economy. Findings were based on data from the Scottish Government, the Office for National Statistics, Revenue and Customs, and regular SWA data and surveys from the SWA membership.